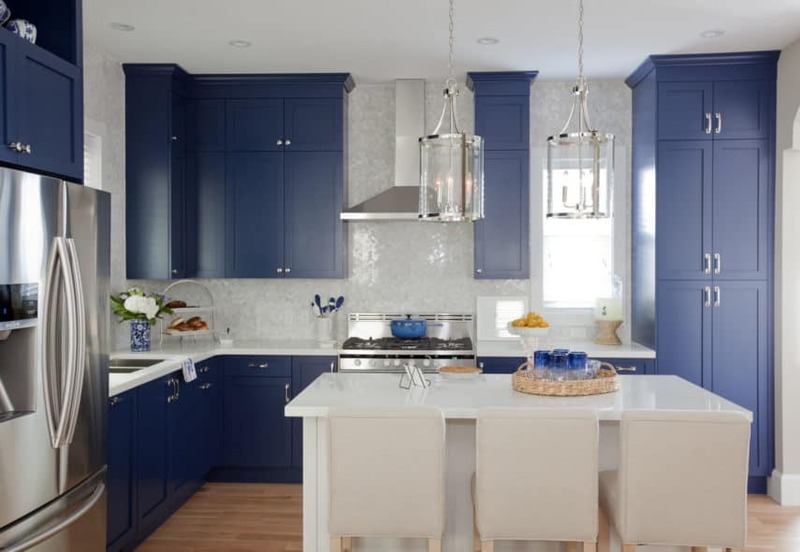 Talia & Travis | Love It or List It Galleries | Merit Kitchens Ltd.
Talia & Travis’ custom sapphire blue and Snow white Merit kitchen is functional elegance at its best. A generous pantry and stacked wall cabinets extend to the ceiling, adding a sense of height to the small space while maximizing storage. Jillian chose to panel the dishwasher to blend it seamlessly into the cabinetry. Decorative, open shelving is placed above the fridge and on the island. The colour of the kitchen cabinets and Manor door style are a nod to the vintage home, while the functionality is all modern.